This past Wednesday, I was at the LaLaport in Shin Misato(a shopping mall) with my friend Emi. 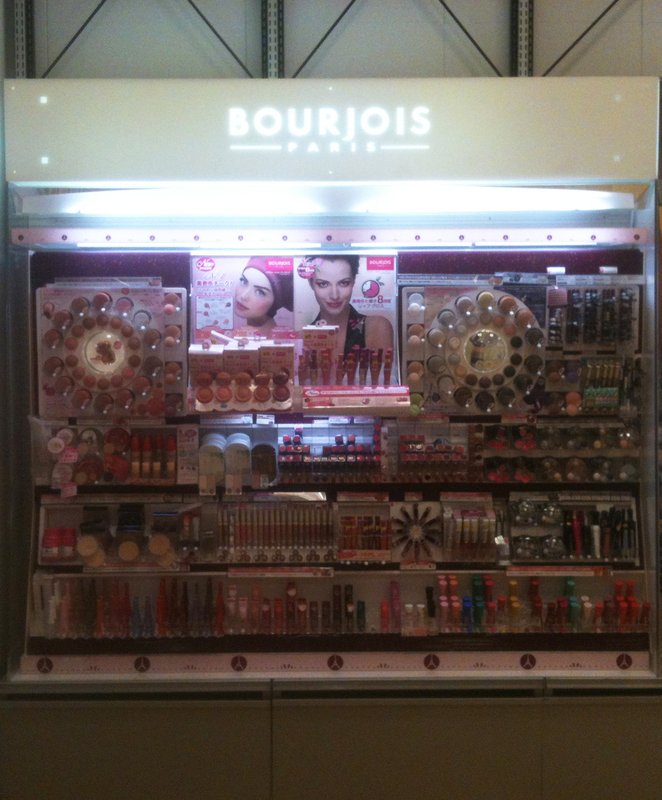 I took a shot of the Bourjois counter in Loft. What's your favorite Bourjois products? Drooling! I just got my first Bourjois items (bronzer, mascara and a blush) from a swap and adore them!! Yessie, I have to say this...you're so beautiful!! 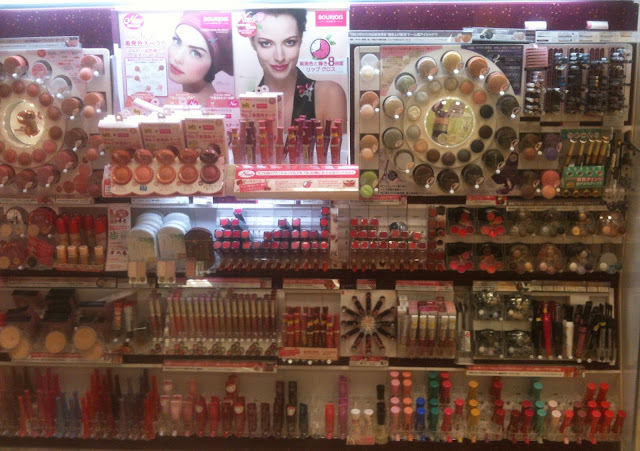 Okay, back to Bourjois :P I really enjoy their products! !